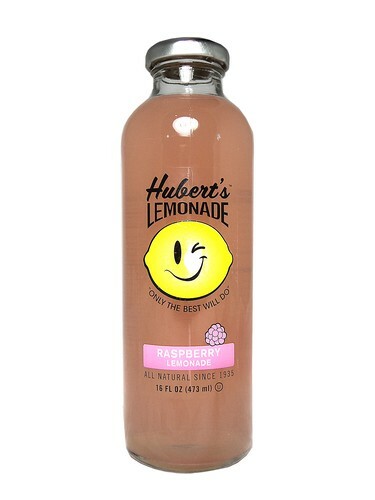 FRESH 4 pack 16oz glass bottles Hubert's Raspberry Lemonade!!! A sweet twist on the original, Hubert’s Raspberry Lemonade mixes juicy, sun-ripened raspberry flavor with Hubert’s old-fashioned California lemonade. So grab a bottle and find the closest hammock.